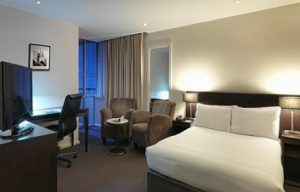 Great Southern Hotel (6715 reviews, 7.6) is in front of Southern Cross Railway Station in the Central Business District. The hotel has very good value deals. 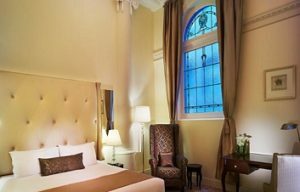 To the casino is a 10-minutes walk and to Bourke street is 15 minutes. 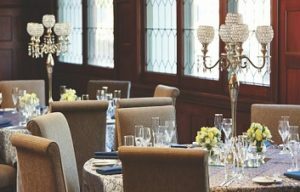 Rendezvous Hotel 4120 reviews (8.4) is a 4.5-star property in the style of 100 years ago. 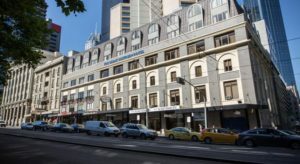 The hotel is in the CBD opposite Flinders Street Railway Station. 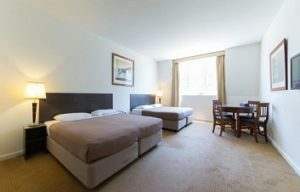 Hotel Grand Chancellor (3422 reviews, 7.7) is in the heart of the theatre district. 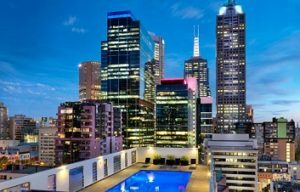 It’s 3 minutes walking to Chinatown and 10 minutes to Bourke Street. Melbourne is the second largest city in Australia. It lies on the coast in the South East. The metropolis has a population of 4 million people. Melbourne Airport is the 23km from the city centre. There is no train link to the airport. Express bus services transfer passengers from the airport to the city center. This bus operates 24/7 including the holidays.